With the progress of science and technology,signals need to be more precise. Therefore,current signal transmission circuit research and design has been the focus of recent academic study. Operational Transconductance Amplifier (OTA) is one of the most popular active components to used to design the current signal transmission circuits. 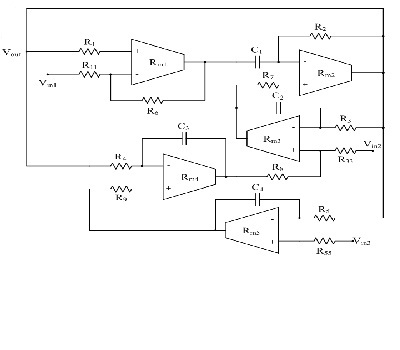 The characteristic equation of Operational Trans-Resistance Amplifier (OTRA) is and duality for OTA. Because of this properties,it may OTA have equal advantages. So,only use this component in this paper the design filter.